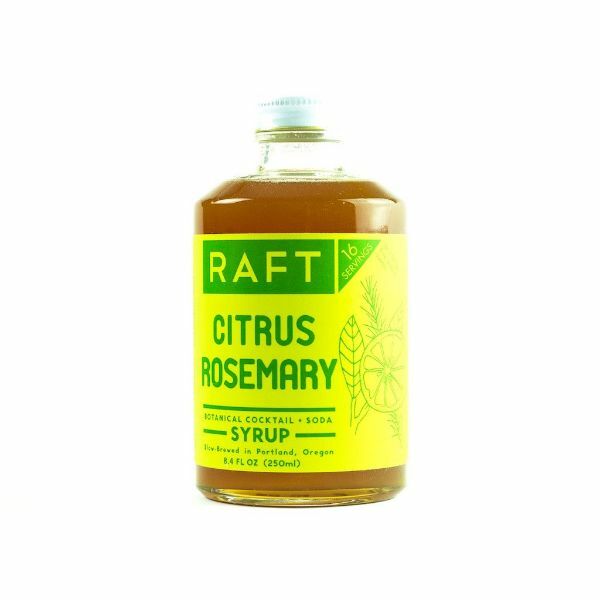 Raft Citrus Rosemary is a garden party in a glass. Bright citrus balanced with herbaceous rosemary for a delightfully easy sipper with or without alcohol. This tart, sweet syrup pairs best with gin, vodka, tequila, sparkling wine or soda water.